Electromyography (EMG) or a nerve conduction study can detect abnormalities in nerve functions and patterns, allowing your physician to determine the best course of treatment. If you have ongoing pain and just haven’t found an effective solution, the top-rated orthopedic surgeons at New York Bone & Joint Specialists can help. Schedule your EMG or nerve conduction study evaluation by clicking on the online scheduler. You can also call one of the practice’s New York City offices in the Upper East Side or Midtown West neighborhoods of Manhattan. What is the difference between an EMG and a nerve conduction study? Electromyography, more commonly known as an EMG, is a diagnostic tool used to evaluate atypical nerve patterns. This type of test can detect nerve injuries, as well as their severity, simply by recording electrical activity in your skeletal muscles. Your orthopedist might recommend a nerve conduction study to pinpoint damage to your peripheral nerves. This test tracks the progress of an electrical current down your nerves and quickly locates any abnormal disruptions. Both tests are performed right in the office at New York Bone & Joint Specialists, so you can get your results back and start treatment right away. What happens during an EMG or nerve conduction study? An EMG and a nerve conduction study are each performed differently. During an EMG, your doctor will insert an electrode needle into a specific muscle. The system then records electrical impulses that are transmitted by motor neurons, which are responsible for controlling muscle relaxation and contraction. In some cases, you might need to contract and relax your muscles to promote electrical current flow. During a nerve conduction study, your practitioner will place electrodes on your skin. As the first electrode generates an electrical current that’s sent down your nerves, the next electrode records the progress of the electrical current. Your provider then charts any irregularities in the flow of the current. Depending on which type of evaluation you’re having and the extent of your nerve damage, your EMG or nerve conduction study can take up to one hour. 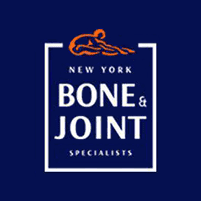 Once your orthopedic surgeon at New York Bone & Joint Specialists evaluates your results, they discuss all of your treatment options with you and help you decide on the best pain-relieving solution. Schedule your EMG or nerve conduction study consultation at New York Bone & Joint Specialists today. Click on the online booking feature or call your nearest office directly.